15+Generally, boy-and-his-dog films feature cute kids and cuddly canines; not Sivas. Director Kaan Müjdeci’s first feature is a moody, unrelenting work set in the central Anatolian plain, where the omnipresent expansive landscape emphasizes a troubling isolation. Here dog fighting is a common pastime, and it’s here that young Aslan, played with startling intensity by 11-year-old Doğan İzci, encounters a large Kangal sheepdog battered and bruised after a failed fight. Aslan – his name means “lion' in Turkish – takes the injured animal home, where he can show off his new find and feel like a prince among peers and elders. With mixed feelings he allows his family to enter the dog in illegal fights, where the boy soaks up the adrenaline yet remainsuneasy withthe violence. Like many recent Turkish films set in Anatolia, this is a distinctly male world: the only adult woman in Sivas appears for a grand total of 70 seconds. Aslan may be young but he’s already conforming to the machismo codes around him, projecting a tough image whose occasional chinks of sentiment will quickly be covered over by impenetrable hardness: obscenities come far easier than words of affection. Müjdeci emphasizes the bleak surroundings, grounding his characters in their locale and using an active camera to accentuate the constant sense of tension. Don’t worry: the animal blood isn’t real, and a veterinarian was on set during the fight sequences. In any event, people, including children, are far crueler than dogs. Kaan Müjdeci was born in Yozgat, Turkey. He moved to Berlin in 2003 to study filmmaking, then to New York to attend the New York Film Academy. His shorts have been in Cannes’ Short Film Corner and the Berlinale Talent Campus. 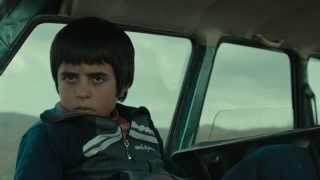 Müjdeci premiered his feature film debut Sivas in competition at this year’s Venice Film Festival, where it won the Special Jury Prize.